That’s right our beloved Cynthia is having a quinceañera this whole week. She wants to invite everyone to join her in this special week at any of the mentioned spots to the right. 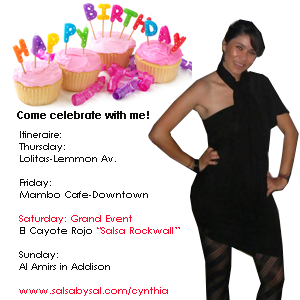 The Grand Celebration will be at El Cayote Rojo for Salsa Rockwall. 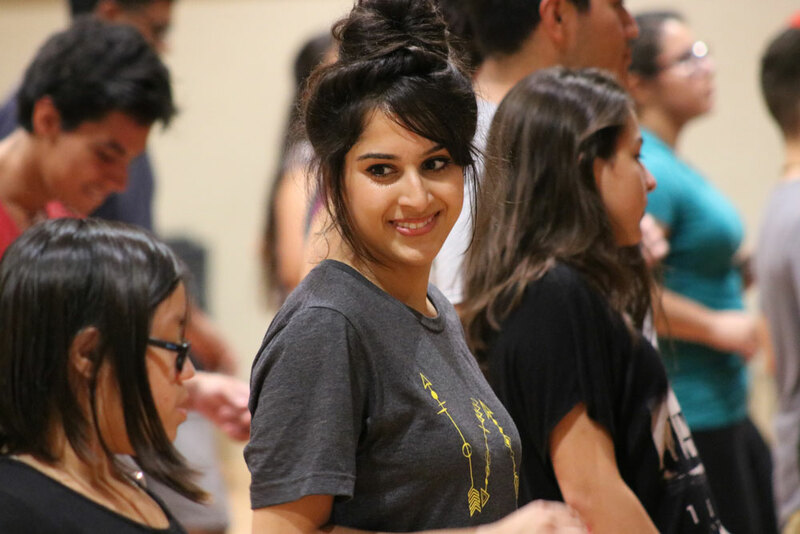 Cynthia: ” Micheladas, Bachatas, and Good Company is her goal. I’m a person of a few words but just show up and have fun :). There you have it. It’s going to be a fun week and let’s give Cynthia a B-Day to remember. See you there!